Display image and video ads on your HotSpot pages. Offer free Wi-Fi access in exchange for ad watching. Get realtime ad click and impression reports. Configure ads using web based interface. Nearly 70% users would watch ads in exchange for free Wi-Fi. Promote brands and monetize by offeringads for access, and high speed access for an additional fee. Ads are rotated each time a user opens the page. Each coupon is displayed with the brand logo, coupon image, coupon code, optional expiration date, specific offer (like 20% off). After clicking the coupon, customer can see details about the offer, while software counts the number of clicks and provides coupon statistics. Grant access to advertisers to login, view coupon statistics, and configure new coupons. Easily create announcements that will be displayed on the HotSpot pages. You can leave maintenance message, quick promo message with customized font, text size and color. This option is free for all licensed HotSpot users. 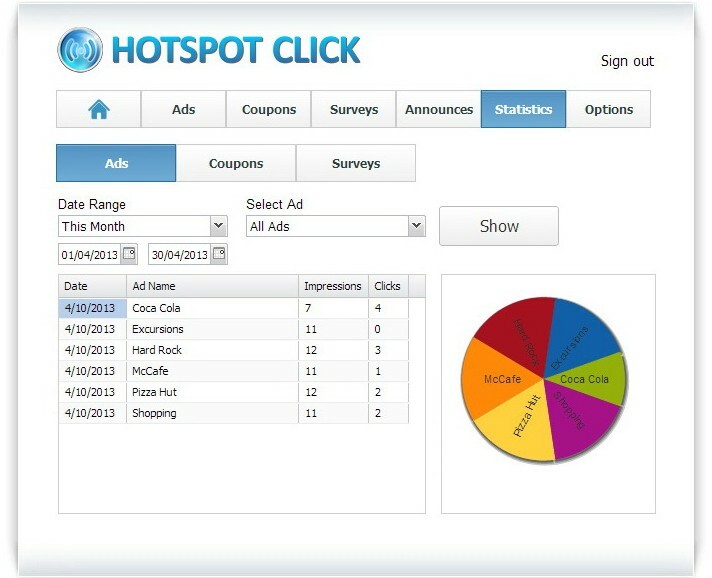 HotSpot Click collects data on each customer engagement. Impressions and WiFi Ad clicks are available for each image or video ad, and reports are displayed with data and chart. Advertiser or administrator can define time period for reports or select specific ad or coupon to see it’s daily performance. HotSpot Click is an add-on module for Antamedia HotSpot software. 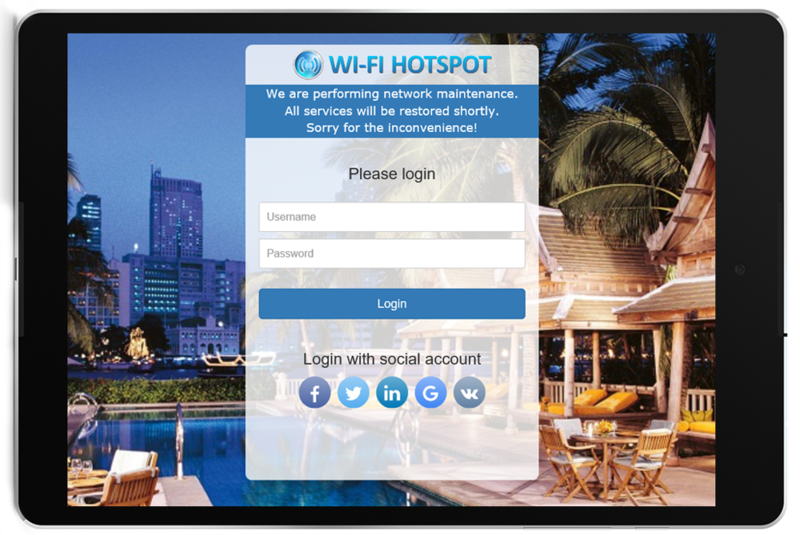 Zero-risk free trial is available for all users and a licensed HotSpot software is required for deployment.